1. 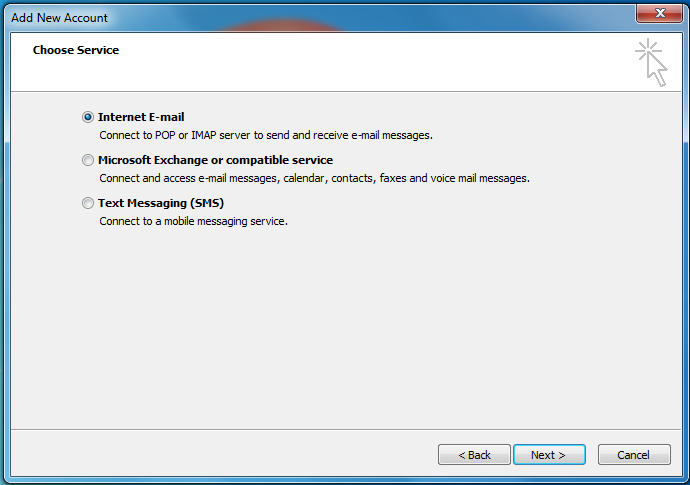 Open Microsoft Outlook then click next when prompted with the first start wizard. 2. 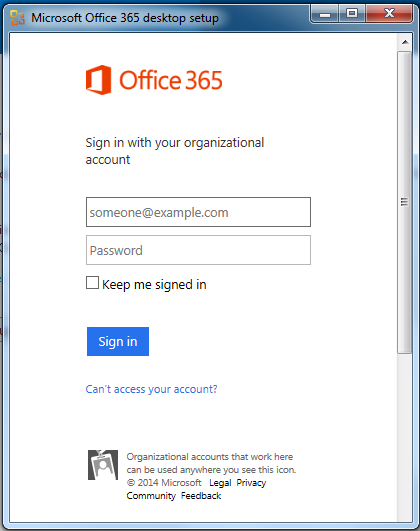 When your Outlook client asks you if you would like to setup an email account select yes and click Next. 3. 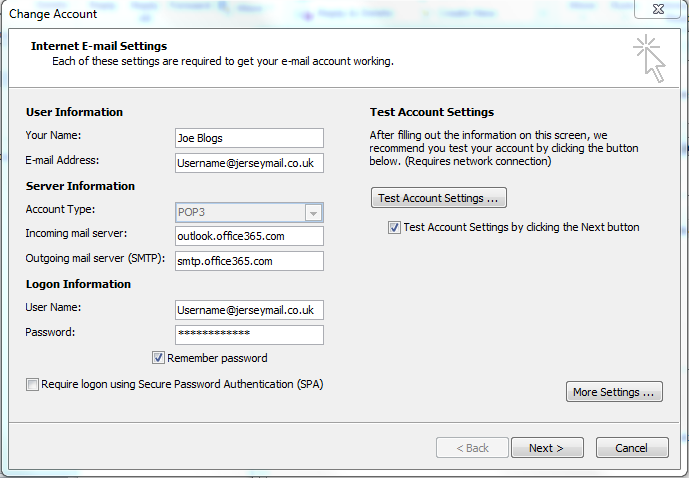 Enter your Name, Email address and Password as shown in the image below and press Next. 4. 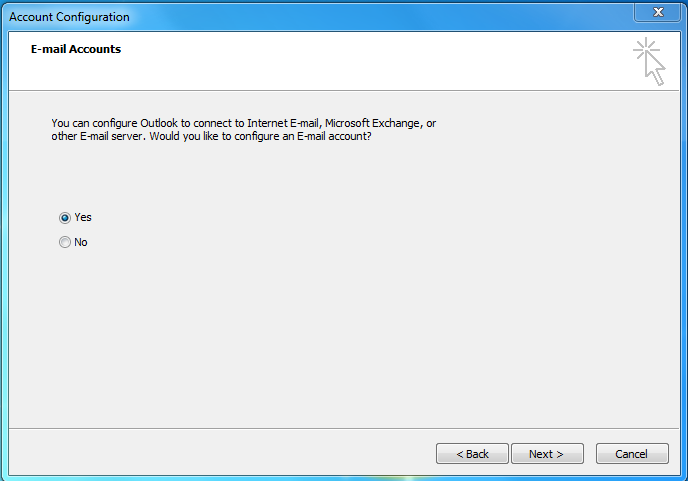 Outlook will automatically setup your account and after a few seconds you will be prompted with a screen similar to the one below. Click Finish. 5. 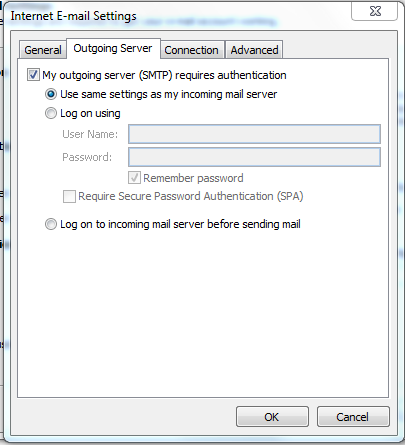 Next time you open your client you will be prompted to enter your username and password, simply enter your email address as the username and enter your email address password beneath it. You may tick the box to 'Remember Password' if you wish. 1. 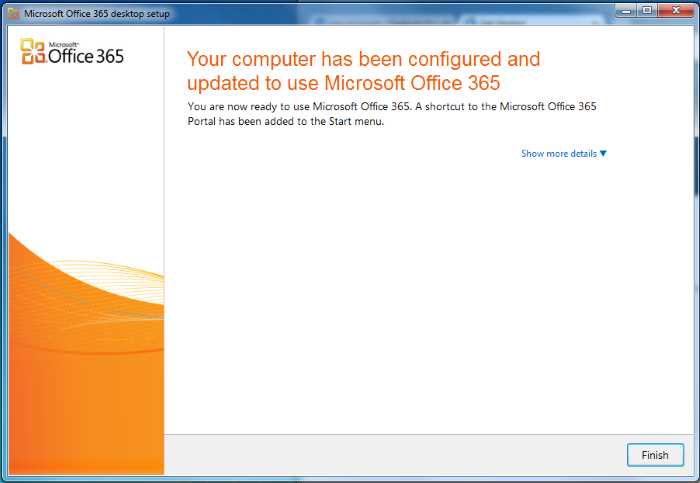 Go to http://portal.office365.com and click PC & Mac then click Set up then download and run the file. 3. 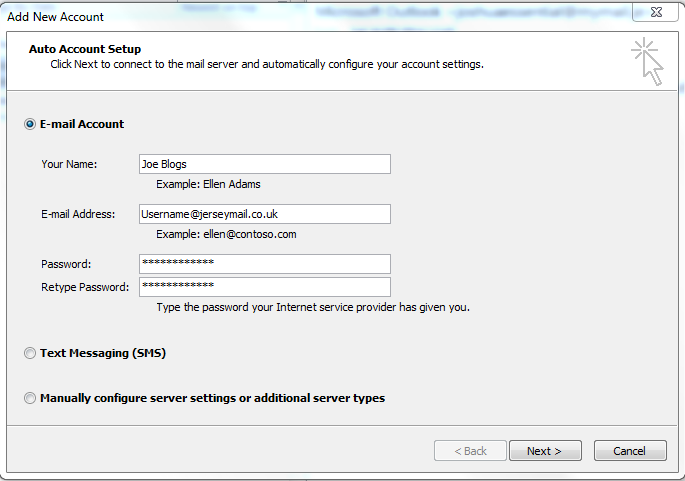 The setup will check your system then display a page similar to the one below. At this stage simply click continue. 4. 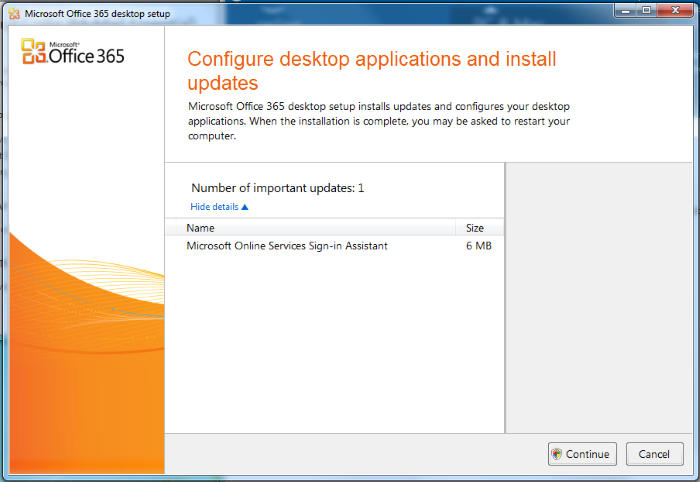 After the installation has completed you should see a screen similar to the one below. 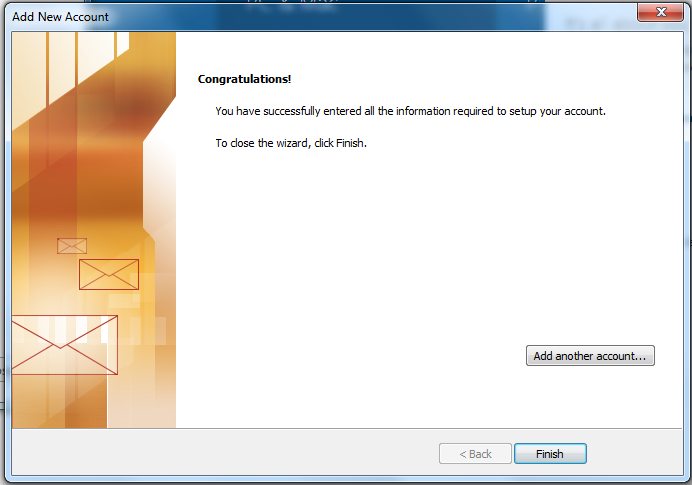 At this stage simply press Finish and exit the installer. 5. 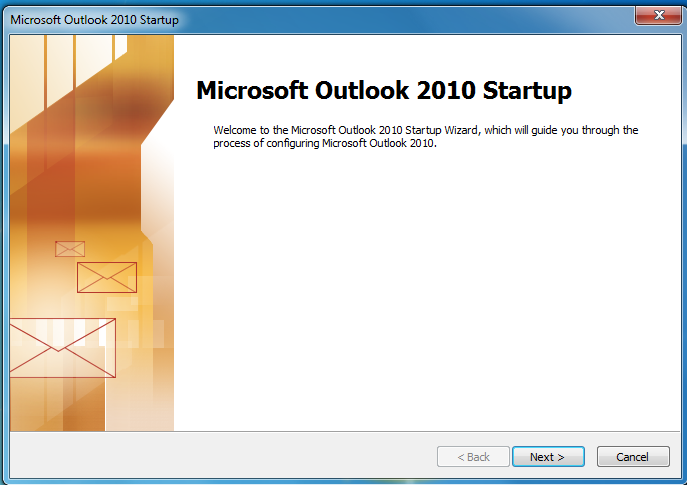 Open Microsoft Outlook then click next when prompted with the first start wizard. 6. 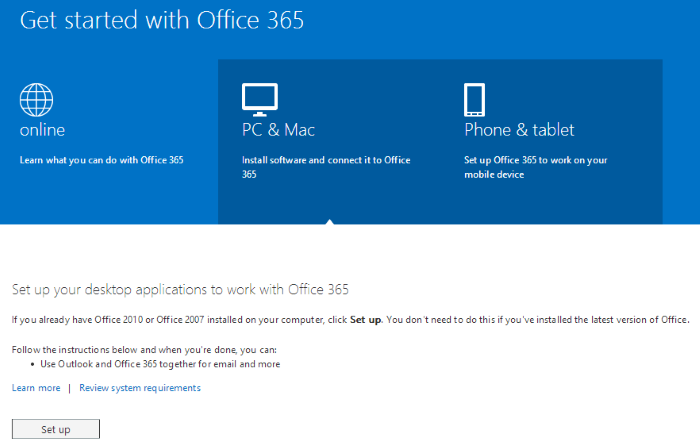 When your Outlook client asks you if you would like to setup an email account select yes and click Next. 7. 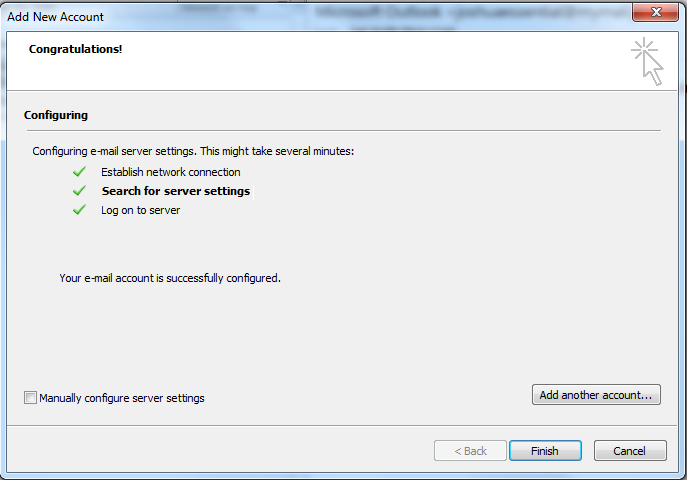 Select Manually configure server settings and click Next. 8. 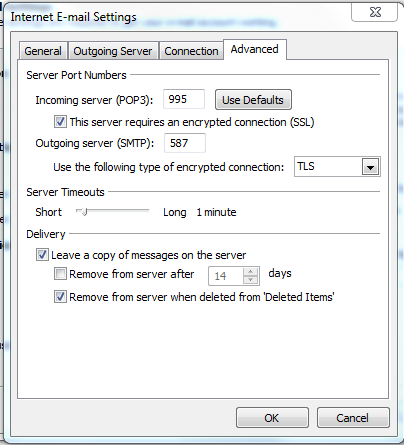 Select Internet email and click Next. 11. 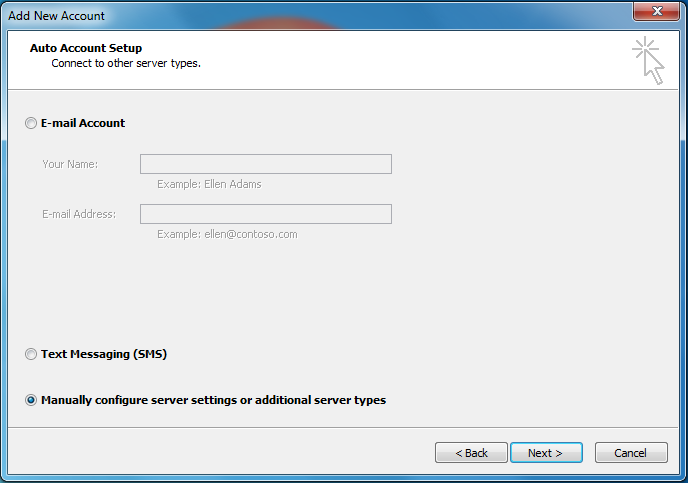 In the Advanced tab enter the settings displayed in the image below then click Ok.
12. You will see a page like the one below that says your account has been added. Click Finish.